So I caught the film while it was still on limited release. As a result, I’ll try harder than usual to keep it spoiler free. The acting was good stuff, but pacing was almost a problem at some points. Thirty minutes in, I still felt like it had just started. There were also weird parts thrown in that I would call incomplete. If you’re gonna include it, at least flesh it out a bit more. 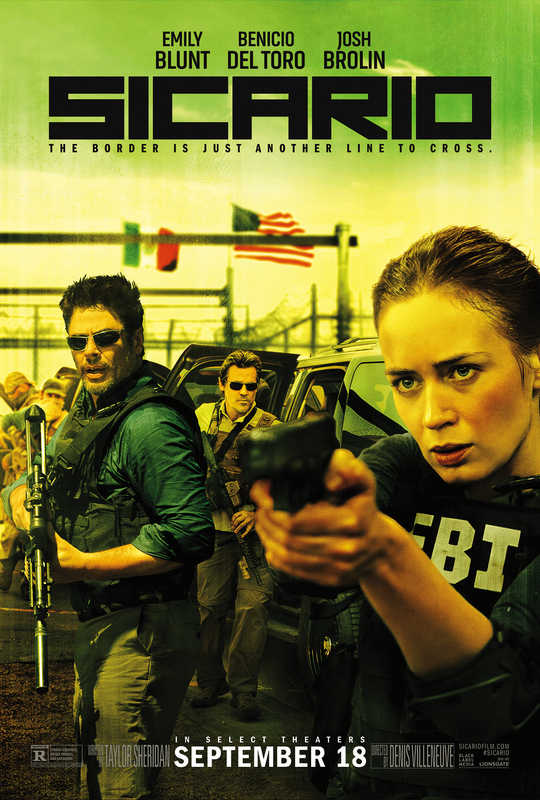 The movie focuses around the Mexican-American border, drugs, guns and other things. One thing’s for sure. They know how to create tension. Many of the scenes were exhaustingly intense. The intensity was broken up every now and then with humor, mostly from Josh Brolin’s character. There’s nothing revolutionary or crazy about the plot and I don’t think it’s as good as the ratings suggest. It was worth a watch, but it’s not something I’d do again. I would go back to listen to the soundtrack, though. Don’t go in expecting an action movie, because it’s not even close to being one. It’s also not a movie about a bunch of people partying in Tijuana or Cabo…in case you were wondering.